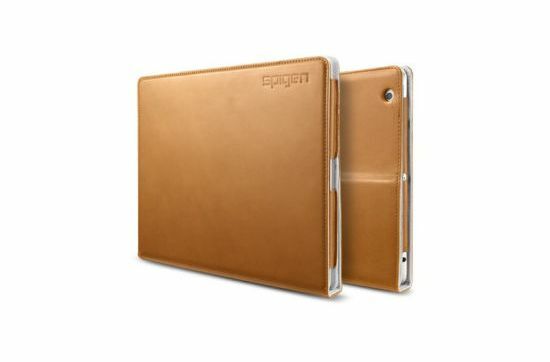 The SPIGEN Folio.S Case is a finely hand -crafted folio style case, made of high-quality genuine leather. 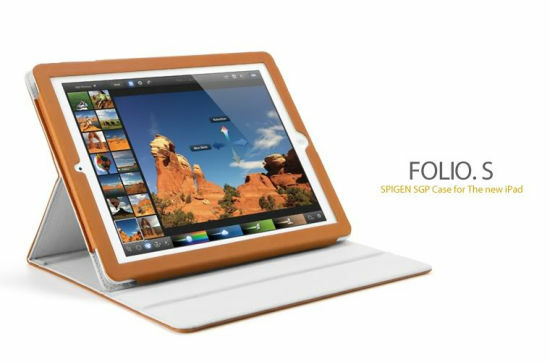 Case features very slim yet sturdy protection for the iPad. This product provides a 2-tier standing structure to accommodate comfortable typing and viewing angle when watching videos or running applications. 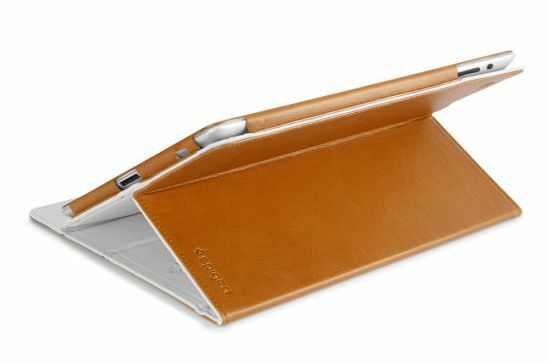 The soft interior suede material assures protection of the device (whether in use or not). 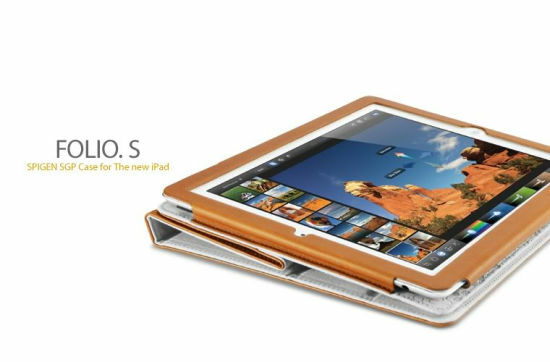 The case is optimized for functionality and protection with appropriate finishes for each ports and controls of the device such as microphone, speaker, camera and jacks.